In March 1994, the senior vice President of Goldengate Capital, Anne Clemens was proposed by Tom Howell, who was the managing director with NationsBank’s investment-banking group for participation in investment of $4.5 million financing of prospective management acquisition of Calaveras Vineyards. Goldengate Capital was a large West Coast financial institution with main activities in commercial lending, asset-based financing, leasing, mezzanine lending, and equity investing. NationsBank N.A. was the third largest financial institution in the United States. Previously, a joint venture investment occurred by both institution, which made valuable high profit for both investment institutions. Calaveras Vineyards were situated at Alameda Valley, California. They occupied 175 acres and remaining acres consisted of various equipment sheds. Winery building that contained storage tanks, aging barrels, a small bottling operation and a small farmhouse with guestrooms, offices, and others. Esteban Calaveras founded Calaveras Vineyards in 1883 to make wine for the Catholic Church. Ownership of the vineyard changed time to time but most recently, Stout PLC, a British conglomerate with interest in alcoholic beverages and branded consumer products, acquired Calaveras Vineyards and decided to sell. Dr. Lynna Martinez, who was vice president and general manager of the property for Stout PLC would lead the management of new company, operations manager, Peter Newsome, would remain in that capacity, and they would acquire the new business. Dr. Lynna Martinez and Peter Newsome would hold equity at the ratio of 85% and 15% respectively. Could the new company make investment in Calaveras Vineyards and provide the service debt? What was the estimated value of the assets of Calaveras Vineyards under an asset and a cash-flow method? Key factors and how sensitive were the values to variations in those assumptions? Calaveras’ products divided into five main categories. Two of wines Estate wines & Selected-vineyards wines sold in the super premium category. California wines & Generic wines made from medium-quality. Special-accounts wine sold under special programs to airlines, hotels, and church parishes with higher margins due to direct sales. About two-thirds of Calaveras’ case sales made through its wholesale- distribution network, and the remainder sold directly to special commercial accounts, including airlines and hotels. Its distributors sold roughly 60% of Calaveras’ wholesale case sales to restaurants. The remaining 40% sold primarily to high-end retail outlets. Total sales of 80 % were organized by a wide arrangement of nine distributors while 50 % of total sales were managed by two regional distributors in California. Growth rate of dollar sales was only 2.2 % in 1992, which was less than the inflation rate. Nevertheless, 7.4 % of growth rate in sales of premium segment wine in supermarkets. Additionally, scientific studies of CBS’s assured that disciplined and balanced consumption of red wine could decrease hazard of heart attack and breakdown. Gallo, Heublein, and The Wine Group were some of the main competitor of Calaveras who had entered into superior marketplace to acquire and increase its earning and profits. Stout PLC appointed Dr. Lynna Martinez in 1987 with a view to grow, progress and implement a strategy that placed Calaveras in the premium-brand segment of the marketplace. 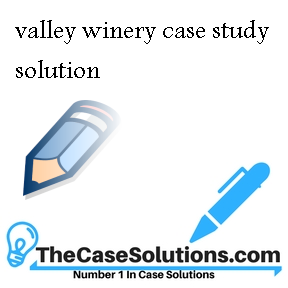 After successful implementation of said strategy, the company was being motivated by cautious price increases and the development of the special-accounts segment to inflate stake in low quality wine. Changes in the ownership of CALAVERAS VINEYARDS in late 1980s and early of 1990s and this was accompanied by varies in company’s market agencies. Company’s front office appointed a new well-established wine marketing company ‘Winston Fendall’ that would stand Calaveras as its flagship account. Winston would also provide receivable collection services and pay Calaveras on non-recourse basis by securing its receivables. 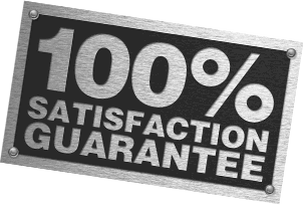 These valuable services minimize the risk of bad debts and cash requirement problems. Timely and continuously necessary supply of raw material was essential for progressing the operation. The grape requirements of winery were 50 percent achieved by its own vineyards and the rest needed supply requirement fulfilled from other source. In this concern, CALAVERAS made two long terms contract with Stout PLC. Approximately 65000 cases plant’s capacity considered acceptable and tolerable. Some warehouse and storage rooms acquired on leased from a nearby winery and all finished bottle inventory were stored there. In 1994, the senior lender in West Coast financial institution shall evaluate the possibility of providing credit management buyout vineyard.The problems for students to appreciate the vineyard, to evaluate its ability to service the proposed debt repayment terms critically evaluate, and recommend actions for the lender.